From time to time, the Small and Large Vegetable Shares have the option to receive one or more “Choice” vegetables. These are items that are in addition to the selection of items everyone gets in the weekly take. This week, a variety of Choice vegetables are on offer for both Small and Large Shares where Small receive one Choice item and Large receive two Choice items. Once you’ve selected your items this week, check out these tips on how to best store them for longevity. 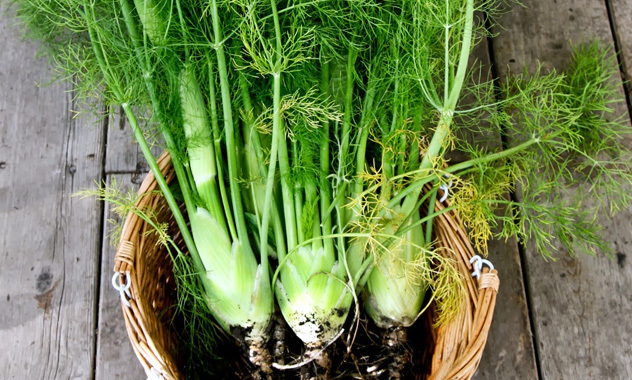 Fennel – How to Store: store bulb in a plastic bag/container in the refrigerator for up to 2 weeks. The delicate fronds will go limp. Wrap them in a moist towel and refrigerate. Lettuce – How to Store: several options. Store unwashed in a plastic bag. If already wet, clean the leaves in a cool water bath. Lift leaves out so grit stays at bottom of bowl. Spin dry, or shake off water. Lay out to dry. Once dry, put in a bag with paper towels to absorb excess water, or wrap in cloth towels. Scallions – How to Store: keep intact, store in a damp towel or plastic bag in refrigerator. Use in 4-5 days. If kept longer, outer layers may need to be peeled off, and tips cut off. Some folks place root ends in water on counter and trim, keeping them alive. Broccoli – How to Store: wrapped in plastic bag in the fridge. Best used within a few days before flowers start to yellow. Green garlic – the softer outer leaves may be used in cooking or a raw salad. How to Store: wrap in damp towel or plastic. To use: cut off roots (if any), slice from bottom, use as you would cured garlic. Where stalk gets too tough discard, or use in soup stock. Curly Parsley – How to Store: For short-term storage, wrap in a damp towel or place upright with an inch of water and refrigerate. For longer storage, parsley can be dried. To air dry, hang a few small bunches in a well-ventilated area. To maintain color, slip a paper bag around each bunch. This entry was posted in Recipes by Jennifer Moore. Bookmark the permalink.